Superstition has it that bad things come in threes. I don’t know how true that is, but disaster movies certainly seem to come in clumps, starting in the 1970s, when Airport was followed by The Poseidon Adventure, The Towering Inferno, Earthquake, Flood!, and Hurricane. The next bunch came in the late ‘90s—films like Twister, Titanic, Volcano, Firestorm, and Armageddon. Last year’s San Andreas may have sparked another revival of the genre, with filmmakers discovering that it provides a terrific opportunity beyond sci-fi superhero movies to flaunt new advances in CGI special effects. 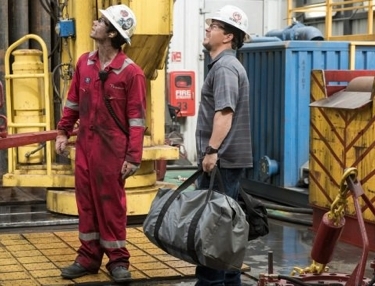 True to its disaster movie roots, Deepwater Horizon gives only a brief introduction to the main characters—just a glimpse of their personal lives so we care whether they survive the calamity or not. 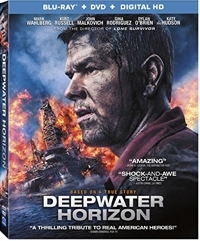 The rest of the film unfolds with breakneck speed, hampered only by the amount of technical stuff going on and a combination of jargon and accented slang that can make deciphering dialogue somewhat difficult—especially given the background noise on a semi-submersible oil-drilling rig located some 250 miles from the Texas-Louisiana coastline. In other words, those who work on the rig designed to extract oil from a vertical depth of 35,000 feet must take a helicopter to get there. By boat, it would take forever. For the first 30 minutes or so, Sully is a little like the film’s namesake, Capt. Chesley “Sully” Sullenberger. Understated and unassuming. it’s a quiet one-man show, the kind that star Tom Hanks pulled off in Cast Away. In fact, in the early going it feels a little ordinary—just a well-crafted character study that capitalizes on an actual news story. Then something surprising happens. As the tension builds inside the pilot who made headlines and became a national hero for successfully landing a full passenger jet on the Hudson River, so does the tension build in this film by director Clint Eastwood. Before you know it, you’re wrapped up in the drama as Sully and co-pilot Jeff Skiles (Aaron Eckhart) have their actions questioned and must appear in front of a hearing panel of the National Transportation Safety Board. Could two men lauded as heroes for saving 155 people have put them needlessly in danger by choosing to land on the Hudson rather than returning to LaGuardia? Like any good courtroom drama, Sully moves back and forth in time as everyone tries to piece together what really happened. Based on Sullenberger’s autobiography, this film doesn’t start at the beginning and build to the Miracle on the Hudson. Just the opposite. We join Sully soon after his January 2009 emergency landing as he is still obviously suffering from a mild form of post-traumatic stress syndrome and still trying to process what happened . . . all while dealing with the media spotlight. 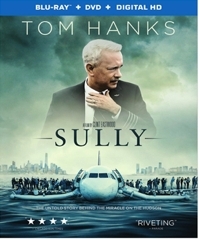 By film’s end—told from Sully’s point of view—you’re thinking that the real miracle was that this ordinary man was still able to keep his wits under such extraordinary circumstances in the bureaucratic crisis that came in the aftermath of the crash landing. 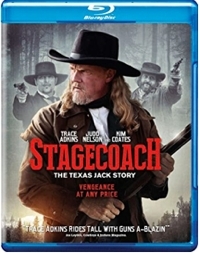 Before we board this stagecoach let’s get one thing out of the way: country singer Trace Adkins looks like a character you’d see in the Old West, but he’s not much of an actor. Neither are some of the others who mouth poorly written lines or chew scenery in Stagecoach: The Texas Jack Story. Sometimes I’m hard on writers for dragging a movie down, but with this low-budget ($2.2 million) 2016 Western it’s the acting that mostly pulls you out of the experience and reminds you you’re watching a movie . . . and a slightly below average one at best. When an animated feature’s main weakness is the premise or basic plot, I can’t help but wonder, Who in the world green-lit this project? 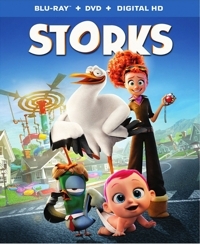 Storks has a decent cast of voice talents, including Andy Samberg, Ty Burrell, Jennifer Aniston, Key & Peele, Danny Trejo, and Kelsey Grammer. The characters are drawn and animated in accomplished fashion. Yet, while the birds in the film take flight, the film itself never really gets too high off the ground. Storks received a 63 percent “fresh” rating at RottenTomatoes.com, meaning 63 out of 100 critics liked it enough to give it an average score of 6 out of 10. Forty-two percent pronounced it rotten, and I’m inclined to side with that group—though I’d use the word “disappointing” instead of “rotten.” I’m always leery when the writer and director are the same person, and writer-director Nicholas Stoller has had his share of hits (The Muppets) and misses (Gulliver’s Travels, Zoolander 2). Storks isn’t a complete miss, but it’s not a hit either. It’s a little too manic and shrill too much of the time, without nearly enough spaces to absorb or appreciate what’s going on. There are plenty who would lay claim to the title of “World’s Biggest Cubs Fan,” but I think I could build a case as well. As a kid I attended one to three games per week over the summers, working to raise money to afford the $1 bleacher seat, 10-cent program, 35-cent Frosty Malt, and 15-cent bus fare. During the school year I faked being sick more than a few times so I could watch Jack Brickhouse call the games on WGN-TV. Once, a friend and I even bicycled six hours round-trip across the city to knock on the door of Cubs player Glen Hobbie to ask for his autograph (many players were listed in the phone book back then). 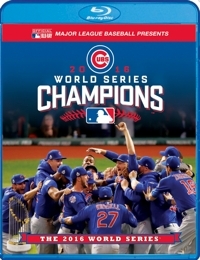 So you’d have to say that I’m part of the intended audience for this 2016 World Series Champions: Chicago Cubs (Collector’s Edition) Blu-ray. But let’s be clear about what this eight-disc collection is, and what it’s not. 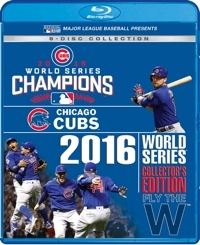 The set includes a single Blu-ray disc for each of the seven World Series games plus a bonus disc of Game 6 of the NLCS that the Cubs won in order to advance to their first World Series since 1945. And each of those discs is a complete game telecast, sans commercials, 7th inning stretch, and pre-game show, and with only an abbreviated wrap-up—no locker room celebrations. It’s too bad, though, that there’s not more postgame coverage. I don’t even remember seeing the Cubs carry David Ross around the field on their shoulders after Game 7, for example, but it was one of those moments that fans (and, of course, Grandpa Rossy) will never forget. Suicide Squad is a high-concept film that asks, What if you plug characters from the DC Universe into the old Dirty Dozen plot? Instead of having a bunch of badasses tackle a war mission, have these imprisoned supervillains agree to work together to foil what is presumably a super-supervillian named the Enchantress in exchange for reduced sentences. Sounds fun, right? 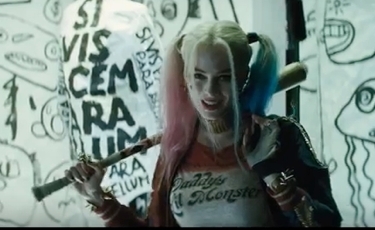 But while it’s imminently watchable, Suicide Squad isn’t as fun of a ride as Guardians of the Galaxy. It could have been, with more performances like Jared Leto’s and Margot Robbie’s as The Joker and his henchwoman/partner-in-crime, Harley Quinn. Those two really go over-the-top with their roles and push their characters from celluloid right back onto the pages of a comic book, while the rest of the supervillains are played a little straighter . . . perhaps because they weren’t given as meaty (and savory) roles. But I suspect that these two just found inspired ways to play their characters. As superhero movies go, Suicide Squad is entertaining enough to add to the family video library, but it has one big flaw. 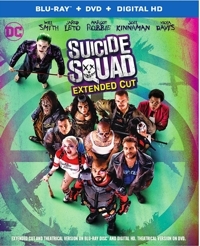 The PG-13 rated film takes a full 40 minutes to introduce the characters and basic set-up, and after that, as if making up for lost time, zips along at breakneck speed through the mission itself. What that means, of course, is that family members might squirm a bit in the early going and then sit there with raised eyebrows for the remainder of the film. It can get a little confusing. Then again, so can the set-up. You’ll want to rewatch it just to get a better handle on what’s going on, and to look for things you missed the first time around. Goodman, whose ashes are reportedly buried under home plate, never lived to see the biggest win in Chicago sports history, and neither did a lot of fans. The Cubs last played in a World Series in 1945 and last won a world series in 1908, while the Cleveland Indians haven’t won it all since 1948. This documentary makes clear how generational being a Cubs or Indians fan has been, and the impact a win would have on either city. You couldn’t have written a better script than to have the two teams with the longest droughts squaring off against each other and needing seven games for the winner to finally emerge. The Cubs, who led the majors with 103 wins, went down 3 games to 1, and only four teams had come back from that deficit to win the World Series: the 1925 Pirates, 1958 Yankees, 1968 Tigers, and 1985 Royals. Throw in a rain delay at the end of regulation with Game 7 tied, and you’ve got high drama to rival any sports screenplay to come out of Hollywood.